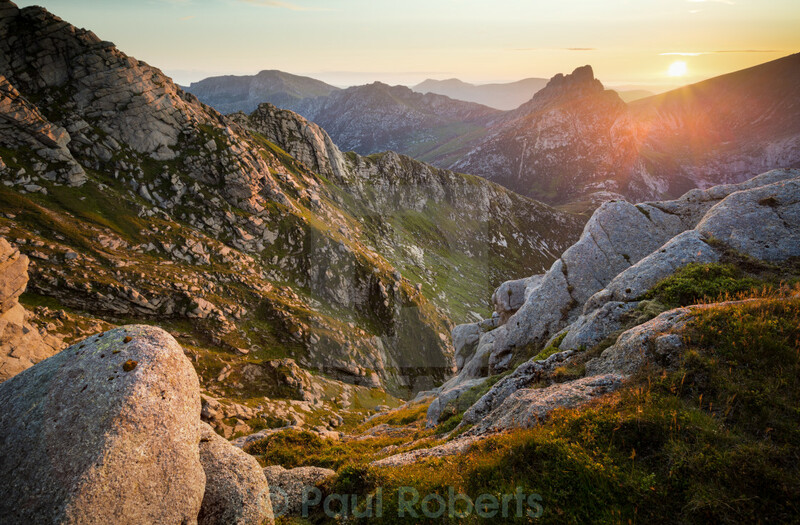 A late golden hour shot of Cir Mhor (I think?) from the ridge between Goatfell and Mullach Buidhe. Midges were swarming round me as I took this shot; in fact I had to edit out a couple of little sunlit midge streaks. But thanks to "3M Ultrathon", I only got a couple of bites.